Having spent her childhood in Cuba, Jen Miranda was always accustomed to locally grown products. When she was seven, her family moved to Tampa, and that’s when the American diet started to have a negative effect on her health. Ever since, Jen has had a fascination with health and wellness. 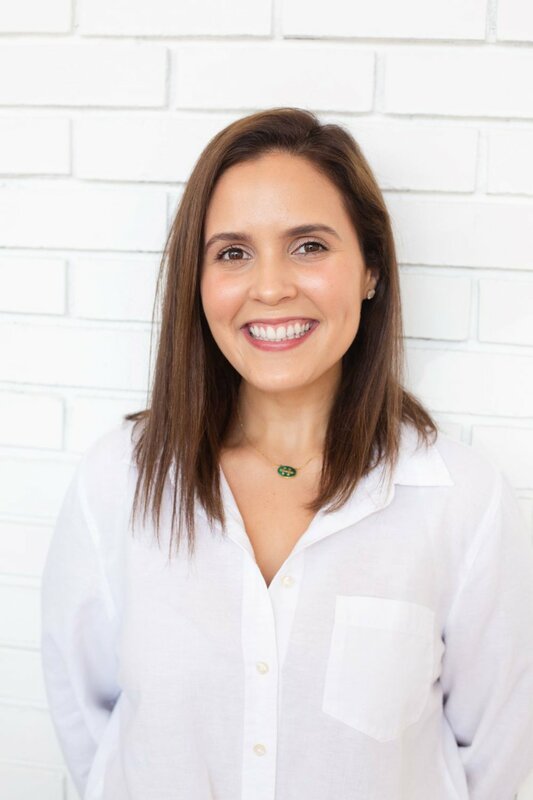 Her journey through nutrition is what inspired her to develop Serene, a pop-up wellness bar which quietly opened last month at 1113 Central Avenue in the EDGE District, formerly home to the Openhouse event space that has recently hosted a variety of pop-up concepts. Serene will remain open until the end of January 2019. A few items on Serene’s menu contain adaptogens, which are combinations of herbs and medicinal mushrooms that modulate your response to stress or a changing environment. Their roots are in Eastern medicine and Ayurvedic healing traditions, but they’ve recently gained significant traction in the United States. When added to a smoothie or smoothie bowl, they are nearly tasteless. Serene currently offers adaptogens from California-based company, Sun Potion, which can be added into any item by request, if not already added by default. For example, if you feel a cold coming on, cordyceps are a medicinal mushroom that help boost energy, immunity, prevent aging and improve longevity. Do you need to study for tomorrow’s math test? Lion’s mane is an herb that improves mental clarity and focus. 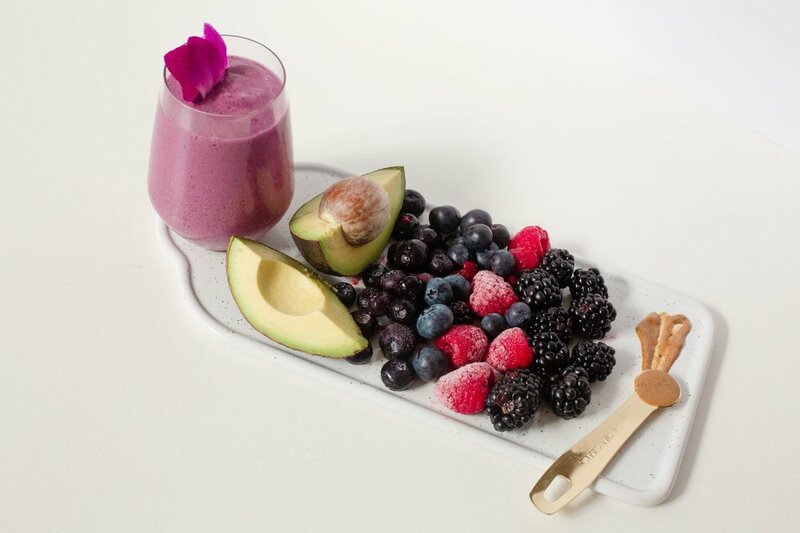 One of the most popular smoothies is the Now & Zen, which contains ashwagandha, an adaptogen that supports hormone and emotional balance, improves stamina and brain function and is a super antioxidant. If you like chocolate, you’ll love Now & Zen. It’s naturally sweet and creamy, but uses a cacao from Ecuador instead of cocoa. You really can’t go wrong with this smoothie — a blend of banana, cacao, dates, almond butter, almond milk, cacao nibs, pink salt and ashwagandha. If you’re just coming from the gym, order the Go Nuts, which has a boost of protein and clean berries. And if you are in the mood for something a little lighter, look no further than the Fine-Apple, which tastes like a mojito but without the liquor. Serene is hoping to take the stress out of eating healthy by turning it into a fun activity. The smoothie bowls are an absolute work of art, bursting with color and texture, and tailor-made for Instagram. There are three varieties on the menu — a golden milk blend, an acai base and a pitaya base. Each bowl contains 16oz of smoothie and is topped with an assortment of fresh fruits, seeds, nuts, and if available, edible flowers. Sup-Succa — Pitaya, coconut milk, strawberries, mango, agave. Topped with kiwi, dragonfruit, coconut flakes, pistachios, and edible flowers. The wellness lattes are similar to coffee lattes, but switch out the coffee for a wellness ingredient. The Soothing Cacao is essentially a lavender hot chocolate and the Deep Blue consists of japanese ceremonial grade matcha, honey, oat milk and blue majik, a type of spirulina, which is a freshwater algae rich in vitamin B12, vitamin A and iron. Serene also offers chasers, which are similar to your typical health shot, but with an added 2.5oz of fruit or vegetable juice for easy sipping. Mother Kombucha can also be found on tap along with a house-made juice du jour, the most popular being a watermelon cucumber juice. It would be tough to not enjoy yourself at Serene. The wellness bar is set inside of the Baum Avenue Market (or BAM for short), a brand-new community gathering space conceptualized by Jonathan Daou, a local real estate investor who has been instrumental in the neighborhood’s incredible renaissance over the past few years. BAM is also home to Avocado Valley, a Mediterranean eatery, and Valhalla Bakery, a vegan bakery opening soon. The building itself is 4,600 square feet of open space with expansive 25-foot ceilings. A collection of large windows line the Central Avenue side of BAM, letting in an enormous amount of natural light and allowing for some of the best people-watching the city has to offer. Later this month, the wall that currently separates Baum Avenue Market and Intermezzo Coffee and Cocktails will be opened, creating a walkway between two of the EDGE District’s most creative concepts. While Serene is already an incredible addition to Downtown St. Pete, Jen has big plans to expand the concept. Additional food items, grab-n-go foods, and skincare products are on the horizon for next year. Further down the road in 2020, Jen will begin work to become a Doctor of Naturopathic Medicine at the National University of Natural Medicine (NUNM) in Portland, Oregon. After graduation, she will bring her newly-acquired knowledge back to Downtown St. Pete, where she will integrate her practice into Serene. In true St. Pete fashion, Serene wouldn’t be possible without the help of other local artists and businesses. Layerframe Studios designed Serene and BAM’s logo and Kait Clarke Creative crafted the menu design and brand photography. With an unwavering commitment to ingredient transparency, Serene wants to help us all live a better, healthier, and ultimately more fulfilling life. Next time you’re looking to recharge your body, mind, and spirit, head over to Serene and tell them St. Pete Rising sent you! Serene is located at 1113 Central Avenue in beautiful Downtown St. Petersburg, Florida. Their soft open hours are Tuesday to Friday from 8am - 4pm with the exception of Thursday and Friday night market’s where they’ll stay open till 10pm and Saturday to Sunday from 10am - 4pm. Be sure to give them a like on Facebook and Instagram to stay up-to-date on all Serene-related information, events, and activities (or if you just want to see stunning foodie photos)!